On April 4th, we are partnering with The Vandenberg House in their amazing Victorian Era Event and CoWorking space. Located at 1400 Queen Street in Leslieville, this is a great location to hold this annual event. This eclectic neighbourhood is booming and you may want to check out some of the great restaurants before or after your session! Up to 2 high res retouched files. Customized lighting – my lighting designs are based on analyzing your facial features, and setting my lights to show off your “best side”! Viewing and selecting the images immediately follows your session. Be prepared to be wowed! But if something is not quite right… we go right back to the camera room! 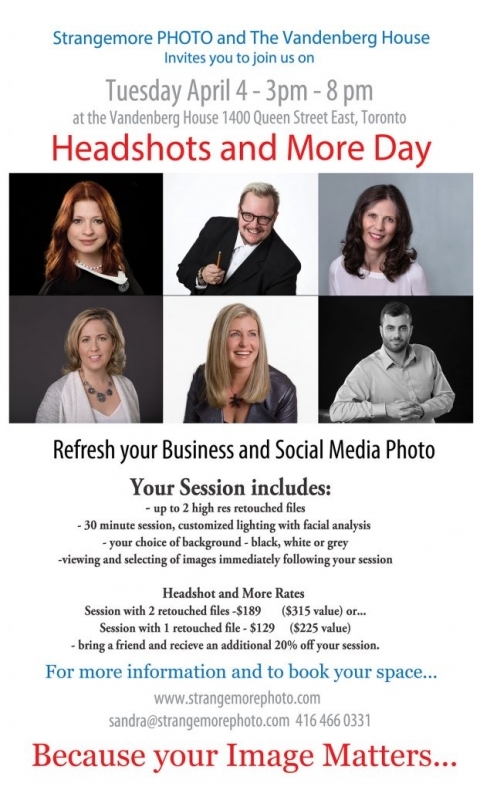 Session and 2 files – $189 – You save $130!